Born in New York in 1943, De Niro’s career began on Broadway, before he discovered cinema at age 20. He worked on a variety of films with Scorsese — from ‘Taxi Driver’ in 1976 to ‘Casino’ in 1995. 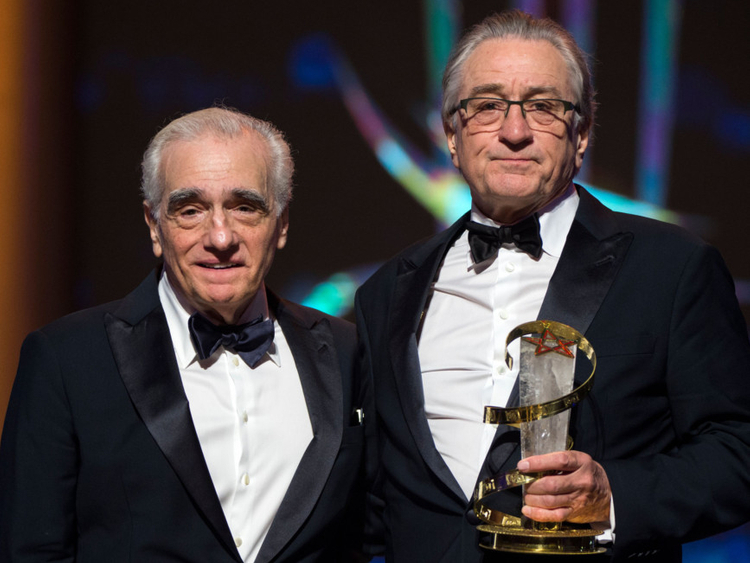 The double Oscar winner’s ninth collaboration with Scorsese will be Netflix’s ‘The Irishman’, set for release next year. “We made our first film together, I think it was over 45 years ago... One of the great blessings of my life,” said De Niro. De Niro used the occasion to lash out at US President Donald Trump and his “America First” mantra. “Sadly, in my country we are going through a grotesque version of nationalism... marked by greed, xenophobia and selfishness under the banner of ‘America First,’” he said.